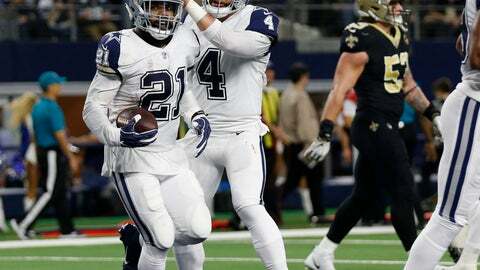 Instead, Jourdan Lewis‘ interception — just the third for Brees while he became the NFL’s first with at least 30 TD passes in 10 seasons — gave the Cowboys a chance to run out the clock from the New Orleans 1 after an interference penalty in the end zone. New Orleans DT David Onyemata had his first two sacks of the season in the first half. … Kirkwood’s TD was the second of his career, and second in as many weeks. … Cooper had eight catches for 75 yards, and rookie Michael Gallup had five for 76, highlighted by a 40-yarder to set up the first of Brett Maher’s two field goals.